How long have you been doing hair? I have been involved in the art of hair for 19 years. I entered beauty school right after high school because I always knew that is what I wanted to do. My passion and realization of knowing I was meant to do be in this business goes back to chasing my little sister around with a pair of kitchen shears and giving her some haircuts and styles that we laugh about now. 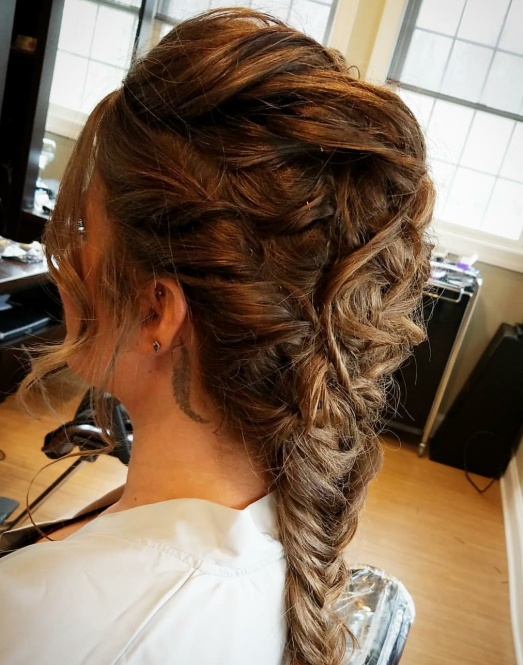 When did you discover your love for wedding hair design? 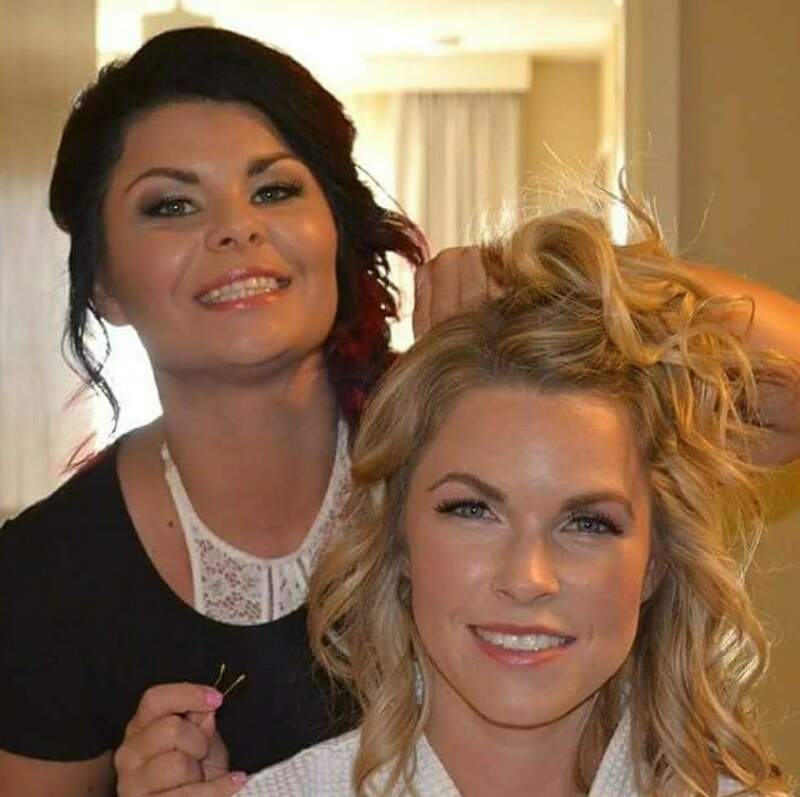 I discovered just how much I loved styling brides and formal hair design when I realized the reason I got into this field in the first place was to unleash the artist in me through hair. In the process of styling a bride and her bridal party, there's nothing more satisfying to me then being able to create on their head what a painter creates on his canvas. And in turn, they look and feel beautiful! No other 'job' but the beauty industry can you do that! How do you keep up with trends in the industry? 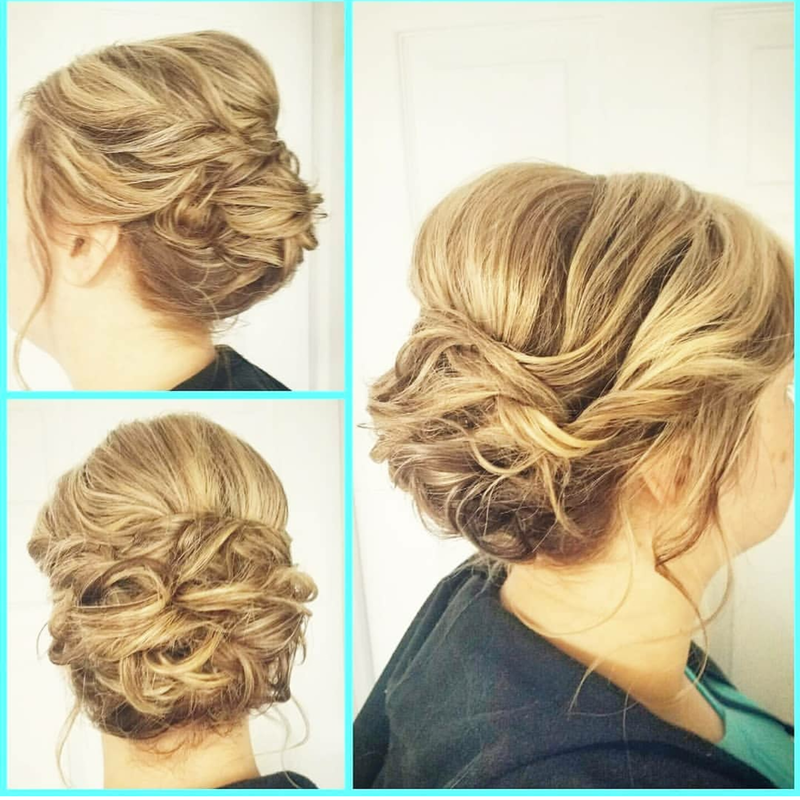 I keep up with trends in the industry by attending a bridal styling classes throughout the year. But my favorite thing to do is follow the best mentors on Instagram and watch their many inspiring tutorials. That gets my creative juices flowing and using their tricks in my work is my favorite thing to do! Go-to bridal look: A go to bridal look for me would be soft and elegant, almost undone and romantic. 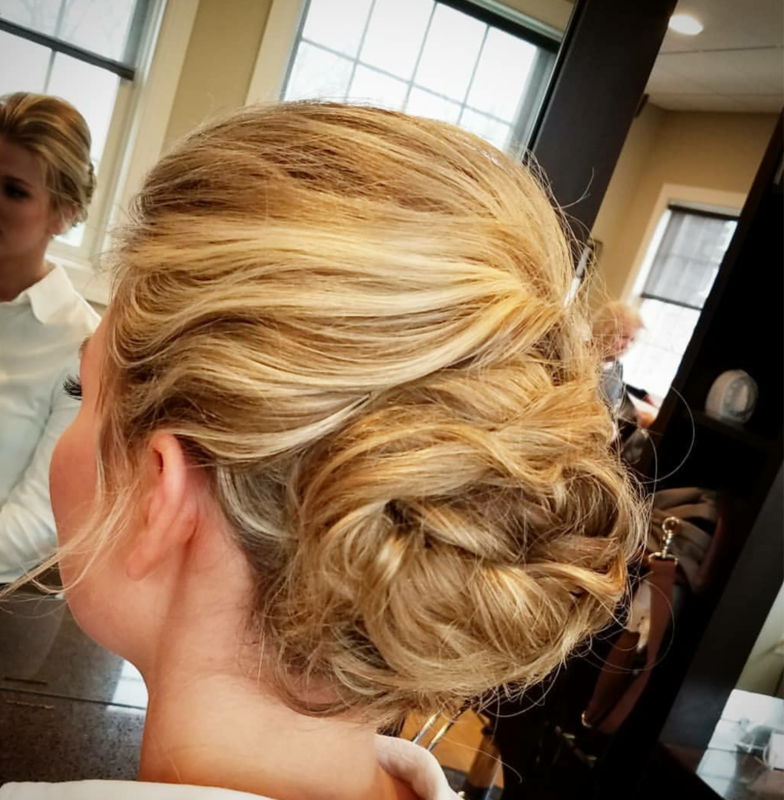 A beautiful loose, a bit messy side chignon is perfect! Oh, no! A fire broke out in your hair kit and you can only save ONE thing! What will you save and why? It would be bobby pins. 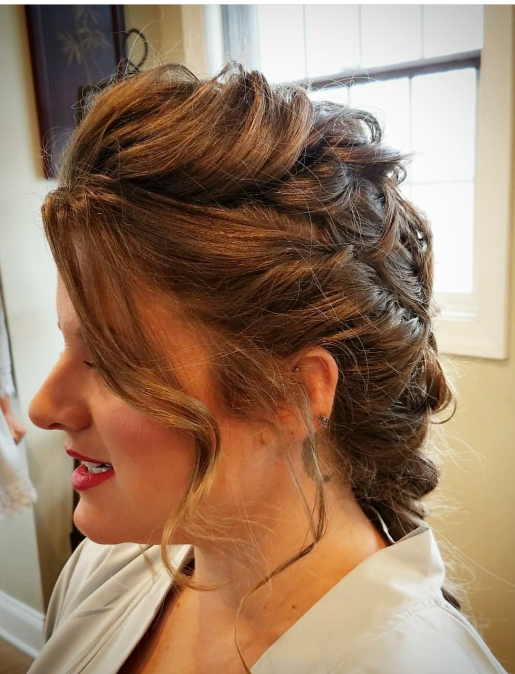 Although I'd miss my curling iron, I have learned to do up-dos without using one, and as long as I had my bobby pins, I would be confident enough I could give a bride the look she wanted using just them. Celebrity dream client? Jennifer Lopez has a beautiful face that you could do so much with. She's a major trendsetter and her style is always evolving. She's someone that we will never get tired of looking at!